I wasn't able to relate at all! I had higher expectations ... disappointed to say the least! Mr. Murakami is among my all time favorite writers and this novel is amazing as usual. It is as good as, if not better, than The Wind-up Bird Chronicles even. This writer has a certain style of surrealism that is beautifully integrated within the mundane and the prose is of the type that seems simple but contains great mastery. The type of prose that makes you want to write something. I wanted to shake the writer's hand, it was that good. This is also a great way to start if you have not read anything by the author and see whether you'll like his style or not. The reader was very good, got a bit over dramatic at a couple of places but overall I think his reading suited the novel very well (side note: Japanese pronunciation not ideal but this is not a criticism since only of the names and places, not really affecting anything) I will seek more of his performances. All in all, even if it turns out that Murakami novel is not your thing this one deserves the credit. Haruki is brilliant and he has once again written a masterpiece. Somewhat different from other novels and seemingly a little burdensome at times, he nontheless makes each and every mention of life, heart’s plight and spiritual enlightenment part of our humanity — each and every morsel. Instead of just writing in eloquent ideas and metaphors, his characters become them. .Killing Commendatore — I couldn’t put it down. I am ready for his next one! 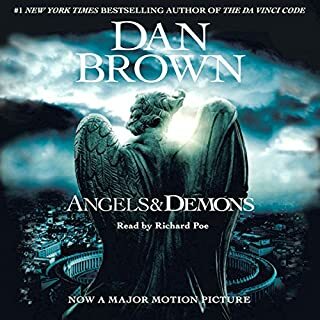 Narrator did a good job but the book itself seemed phoned in. 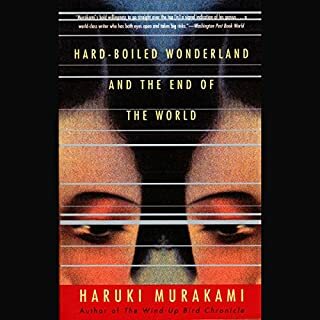 Having read everything of Murakami's before, several multiple times because I loved them, reaching the end of this book felt like I was reading a bad, soulless imitation of him by someone lacking the intelligence, follow through, and magically meaning imbued everyday world building skills I know Murakami is capable of. Also it just felt lazy and apathetic, like a bad omelet on a beautiful Sunday morning. BTW where were the cats? Where was the travel in the present? why would you spoil your own book by telling the end in the beginning? booo. Even 1Q84 is a masterpiece compared to this and it felt a little off too. 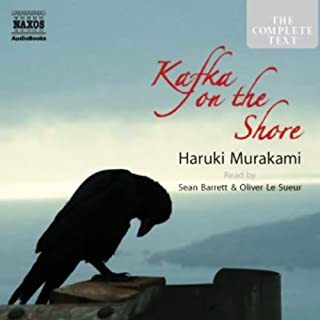 That said Kafka on the Shore and the Rat series show Murakami's brilliance when he cares. ... if you like Murakami, you'll probably like this. 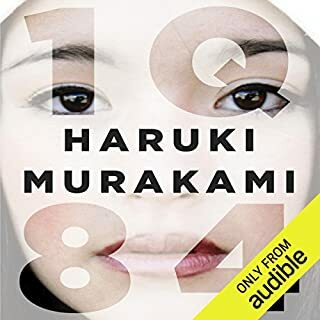 All the familiar Murakami tropes are here -- wife leaving, a well, uneasy friendship between middle-aged man and young teenage girl, mysterious being, etc. No new ground is broken, so if you've read all the other Murakami books, but don't read this one, you won't be missing out on much. Killing Commendatore is basically the equivalent of a greatest hits album. You've heard it all before, but if you like the artist, you won't mind listening to it again. And you may, in fact, really enjoy it. Listen to a preview first! Terrible narrator. So bland and monotone my mind kept drifting. I'm sure the story is great considering the author, but it felt like a teacher assigned the narrator to read aloud in class. I have read most of Murakami’s work by this point, and all of the would-be masterpieces: Kafka at the Shore, 1Q84, Wind-Up Bird Chronicles, and Hardboiled Wonderland. I obviously enjoy the guy’s work, or I wouldn’t keep coming back to him, and I am as excited as anybody else at this newest bid for greatness. On balance, I think this one delivers yet again. It’s got the familiar tropes of a main character who slowly sheds his all-around-nice-guy persona to reveal peculiar darknesses; a secondary world that may or may not be distinct from what we know everyday; sustained reflections on the nature of art in a world craving for certainty denied it; and even, though not until the end and then only in small bits, cats as totems. The more I read this, though – and I believe it’s Murakami’s first to deal so extensively with painting – the more I began to see some parallels between Murakami and painters in general. Above all, I found myself thinking of Murakami as a kindred spirit to Marc Chagall. Both had a tendency to reuse mystical tropes, and both worked on either medium-sized or vast canvasses. Both eschewed strict realism but neither embraced anything like full-blown abstraction. Thinking of Murakami in such a light made me realize that there may not be all that meaningful a difference between his works. That’s not criticism; it’s just an effort at explaining why a single writer has shown he can write at least five different novels sized to be career-defining works. What I’m suggesting is that Murakami is less about plot or arguments and more about arranging a variety of tropes, images, and motifs into ever-fresh ways. His imagination is so deep and his feel for balance so strong that the real question seems to be how a specific composition fits together. In such a light, it may be that this is somewhat weaker than the other top Murakami’s. Still, I think I’ve felt that about each of them since Kafka at the Shore (which was the first I read). I’ll finish, decide it’s good but a little less good, and then, as I reflect on the whole of the novel in the following weeks. I’ll find it ultimately as satisfying as the others. That’s certainly my experience here. In the midst of my deep enjoyment of the novel, I was looking for reasons to be skeptical. I was troubled by the inelegant telegraphing of our protagonist’s friend, the son of the great painter, who has some news about his involvement with the protagonist’s ex-wife. I was frustrated that the opening pages essentially reveal the final key images – the faceless man, the idea of portraiture, and the penguin charm of the little girl – and take away some of the joy of narrative suspense. And I was bothered that some major tropes seem to get introduced only late. And yet, as I reflect on all of this, it’s not so much that those images and tropes are out of balance as that they are out of the balance I would have anticipated. As the novel comes into focus as a whole, I find myself appreciating all at once again that Murakami hasn’t merely recycled his old stand-bys; he has instead reappropriated them for this new literary canvas. In the end, though, I’m less interested in why Murakami does what he does or even for why it works. Instead, I am happy to enjoy the peculiar blend of symbol, fantasy, and melancholy that he finds a way to paint in fresh fashion over one after another of his massive canvasses. 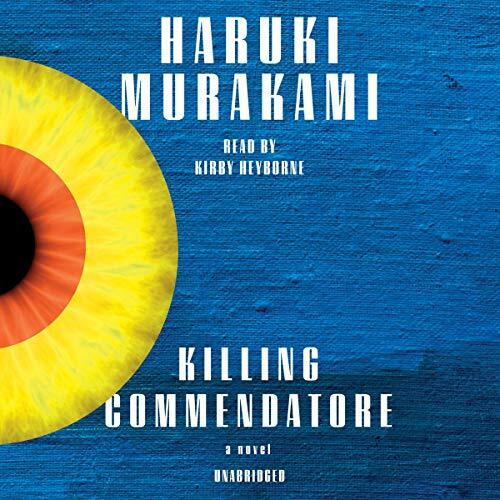 ​As a fan of Haruki Murakami, I was looking forward to read "Killing Commendatore" and bought it immediately as soon as it got translated to English. He is my top three authors of all time that I always jump to the chance to buy the next novel whenever he publish anything new. Murakami's style of writing hasn't changed much, if not at all. 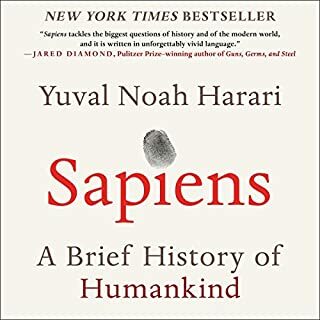 Once you read your first book by HM, you will either think that he is one of the greatest writers in modern time, or thinks that he is just talking about gibberish. "Killing Commendatore" was much like his other works. Metaphors and metaphors, dreams within dreams, symbolism after symbolism and so on and so on. It was your standard HM's style of writing. This book felt like a mashup with "The Picture of Dorian Gray", "Stranger Things" and "Car Talk." For those who already read "Killing Commendatore", you already know what I'm talking about by the examples that I gave. 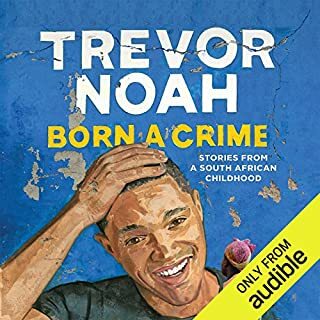 For those of you who are thinking about purchasing this book and not understanding my review, I can probably write a term paper on this book and my whole thesis could be the mashup between the three examples. Once again, as a fan of this author, "Killing Commendatore" left me even more confused on what I just finished reading, but this is why what makes Haruki Murakami who he is. There is no specific genre for any of his novels. All of his books start off very linear, thinking to yourself that "you got this", but as you progress through pages after pages, you are lost in the gobbledygook. This is why I'm a fan of HM. None of his books fit in any genres. I loved this book. It’s like Alice in Wonderland for adults. Murakami is a genre by himself. Get to know Murakami while there's time! Obviously, this book is very long and you have to be a bit of a Murakami fan to make it through. He is a unique writer and his style is a little bit hard to "get" at first. Anyone, however, who takes the time to figure him out will tell you he is a genius! There's a bit of everything in here. There are recluse artists and unfaithful wives. There are mysterious shrines and underground passages. There are teenaged girls waiting for their breasts to grow and a faceless man ferrying people on an underground river that must be the Styxx. And there is Murikami with his amazing quotes and ideas guiding us through it all. Is it really about the affect of the earthquake, tsunami and nuclear meltdowns on the Japanese psyche? Well, maybe it is, but that certainly would eliminate a lot of the fun! Maybe start with _Hard Boiled Wonderland and the End of the World_ or even _The Windup Bird Chronicle_. They would give you a bit of a feel for a style unlike any in modern literature. And go ahead and get started on him before the folks in Stockholm get around to that little prize that must come soon. You'll be able to say you knew Murikami way back when! Actually, he is easier to read than to listen to. You need to be able to easily look back and make sure you haven't missed anything. The narrator here is a bit lifeless with a text that is supremely diffiuclt to read! This book revisits themes and imagery from his earlier novels, to my delight. His stories are like dreams within dreams. Murakami weaves an eerie, soothing spell.